When Joseph Vallenti’s family bought one of the “Signature Series” cakes from King Kullen supermarket to celebrate his 96th birthday, they didn’t not expect the apple strudel to have a high protein element. However, when they started to eat the cake, Vallenti complained that it did not taste right. When they looked, there appeared to be black mold in the cake but soon realized what it was when a rat tail appeared. Worse yet, Vallenti fell ill with stomach pains and diarrhea — no small matter for a man who is 96. Store spokesman Lloyd Singer said the store is “conducting “an internal investigation” and that this is the first time a rodent has been found in a cake. Thus, it is not one of their signatures. When I read the story, it occurred to me that this is a good case for a res ipsa loquitur. As Dean Prosser explained, the doctrine is used when “(1) the accident must be of a kind which ordinarily does not occur in the absence of someone’s negligence; (2) it must be caused by an agency or instrumentality within the exclusive control of the defendant; (3) it must not have been due to any voluntary action or contribution on the part of the plaintiff.” A rat in the apple strudel would appear something that does not ordinarily occur absent negligence, the interior of the cake remain in the exclusive control of the bakery until the cutting, and it was not due to any contribution by the family. The case has striking similarities to Pillars v. R.J. Reynolds Tobacco Co., 117 Miss. 490, 78 So. 365 (1918), where a man a found a human toe in his Brown Mule chewing tobacco. 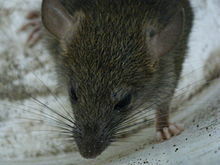 The only defense would be tampering or a burrowing rat at the home (which would likely have been noticed). Also the rat appears to have been al dente, cooked but firm. The next question becomes the damages for the negligent infliction of emotional distress and negligence. It is hard to put a price on eating baked rat (even a sugar covered rat) but most jurors would put it pretty darn high. And just think… Of all the peanut butter sold… Rodent parts are standard procedure…. step 1 convince jury “strudel” is german for rodent. Good thing they didn’t order the Ratatouille, it might have had a Capybara in it. The insurance company is likely to settle prior to trial. I smell a rat….., which is better than tasting one!